The Australian Government has listed the psoriatic arthritis treatment Taltz on the Pharmaceutical Benefits Scheme (PBS). 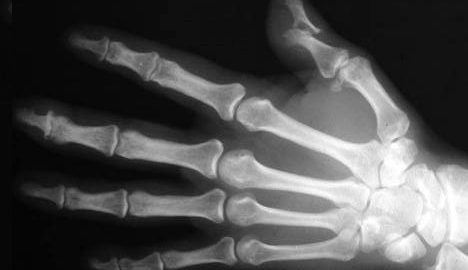 Psoriatic arthritis causes joint inflammation due to having an overactive immune system. Around 50,000 Australians suffer from psoriatic arthritis. Mine worker Brian Seery from Lower Chittering, Western Australia, has benefitted from the treatment after suffering from debilitating pain caused by the disease. The drug, which is administered via injection, is designed for individuals who have not seen an effective response from alternative medications such as disease-modifying anti-rheumatic drugs (DMARD). “The PBS listing of Taltz for adult patients with severe psoriatic arthritis is welcome news,” Melbourne-based rheumatologist Stephen Hall said. The governmental decision to list the medicine on the PBS means patients will be able to access Taltz, chemically known as ixekizumbab, for $40.30 for a standard script (or $6.50 for concession card holders). Taltz was approved by the Food and Drug Administration (FDA) in the United States for the treatment of plaque psoriasis in March 2016. It was again approved for the treatment of psoriatic arthritis in December 2017. “The pain and discomfort caused by psoriatic arthritis can contribute to both physical and mental disability. It is important to consider treatment of both joint and skin symptoms in relevant patients, to help improve their symptom control and quality of life,” Hall concluded.